He was not taken into custody. Kyiv's Solomyanskyy district court has released former MP Mykola Martynenko on parole, an LB.ua correspondent has said. Judge Oleksandr Bobrovnyk said that over 20 people, including MPs and ministers representing the People's Front, vouched for Martynenko. He will remain on parole until 20 June. 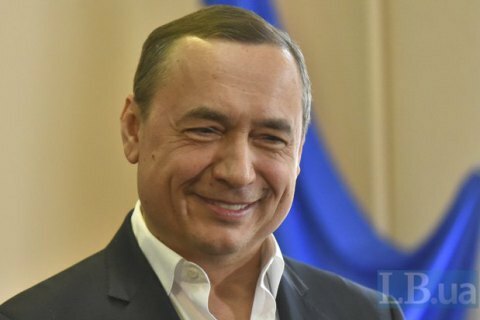 The National Anticorruption Bureau of Ukraine (NABU) detained Martynenko and the head of the supervisory board of the Odesa Portal Plant, Serhiy Pereloma, on 20 April. The NABU suspects them of embezzling 17.2m dollars at the state-owned Eastern Ore Dressing Mill. Similarly to Martynenko, Pereloma was released on parole after several People's Front MPs vouched for him.